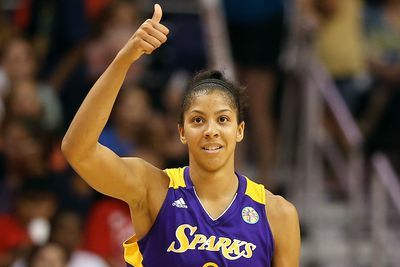 Candace Parker is feeling good after taking the first half of the season off. Head coach Brian Agler is glad to have Parker back and ready to play. Swish Appeal caught up with both after practice, as Parker gears up to make her season debut tomorrow against the Minnesota Lynx. Swish Appeal: You wanted to take the first half of the season off to rest and prepare your body, so how are you feeling? Do you feel well rested? SA: Diana Taurasi is taking all season off, and you took off the first half of the season, how do you think this impacts the league with a lot of the superstars not playing? SA: Was it tough watching the team struggle and lose close games? SA: What is your role going to be for the Sparks the remainder of the season? Swish Appeal: What has your assessment been on Candace Parker since returning to practice? SA: How do you incorporate Candace into the offense with two All-Star post players? SA: Diana Taurasi is sitting out this season and Candace Parker sat out the first half of the season, how do you think that impacts the league when the superstars are not playing? BA: “Well I think the league is better off when their stars are playing. I think what’s different with the WNBA, is the standpoint that women’s basketball professionally is a little bit different than some of the other sports, like the NBA, and maybe Major League Baseball or the NFL, where our players play overseas in a traditional basketball season. “With that being said, you know they are playing year-round, and some of them have families. Candace has got a daughter, and Diana Taurasi is 32/33 years old, so they need at some point rest, so I think everybody thats in the league sort of understands that. It’s a shame that they are sitting out right now, but I think most people support that.